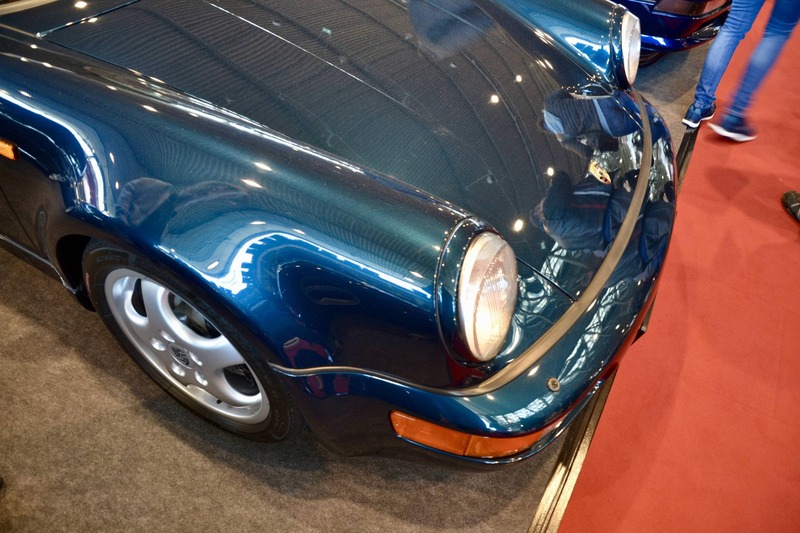 Having recently visited Rétromobile in Paris, Retro Classics Stuttgart was our second first-ever visit to a European heavyweight in the classic car scene this year. 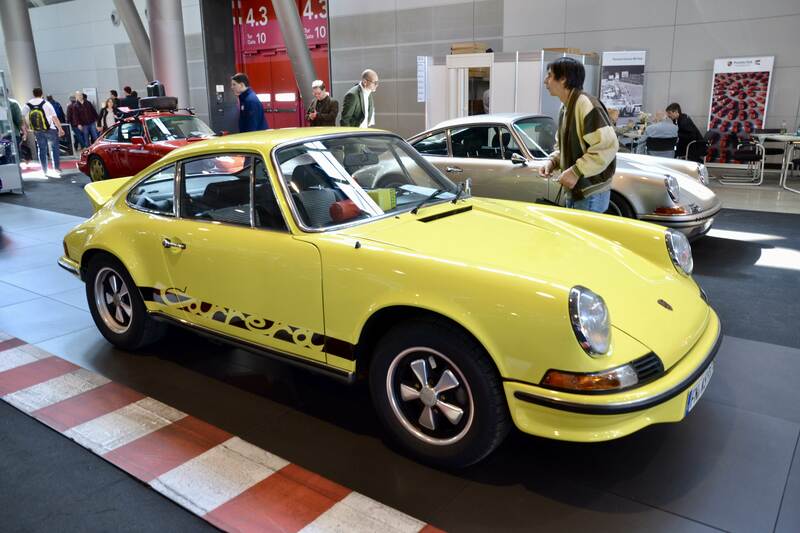 Contrary to any other show we visited before, this one takes place in the home of both Porsche and Mercedes and thus gives it somewhat of a pilgrimage allure for enthusiasts alike. 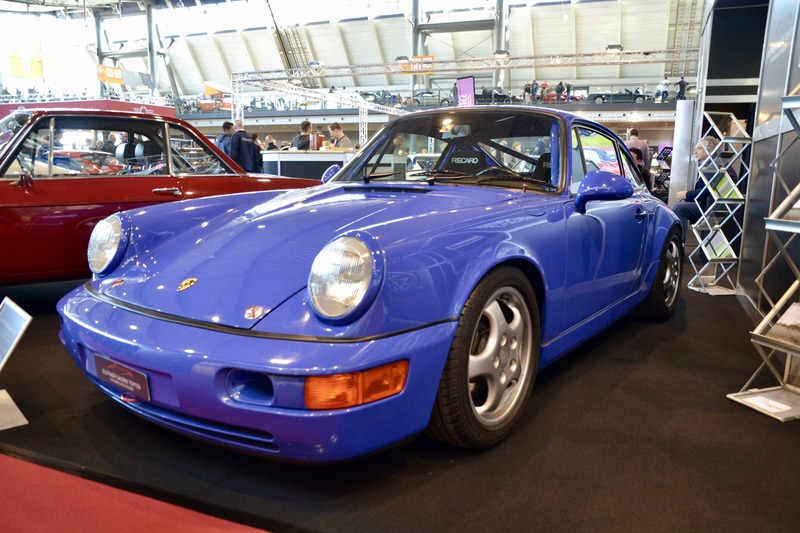 The numbers also confirm that observation: Retro Classics Stuttgart is the world’s largest classic car show, spawning a surface of 140,000 square meters split over 10 different exposition halls. A full morning to evening routine is recommended to cover the full event. 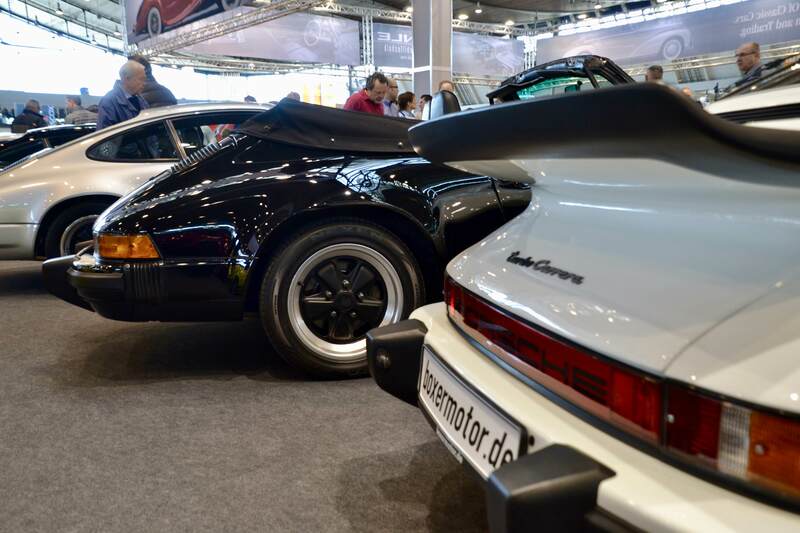 Retro Classics shares the same open atmosphere as Techno Classica, where visitors are able to roam freely between cars no matter how valuable. This in contrast to Paris where the most valuable vehicles were somewhat protected against the risk of the enthusiast masses. Then again, Paris offers a level of exclusivity and flair that somehow sets it apart from any other expo we visited. 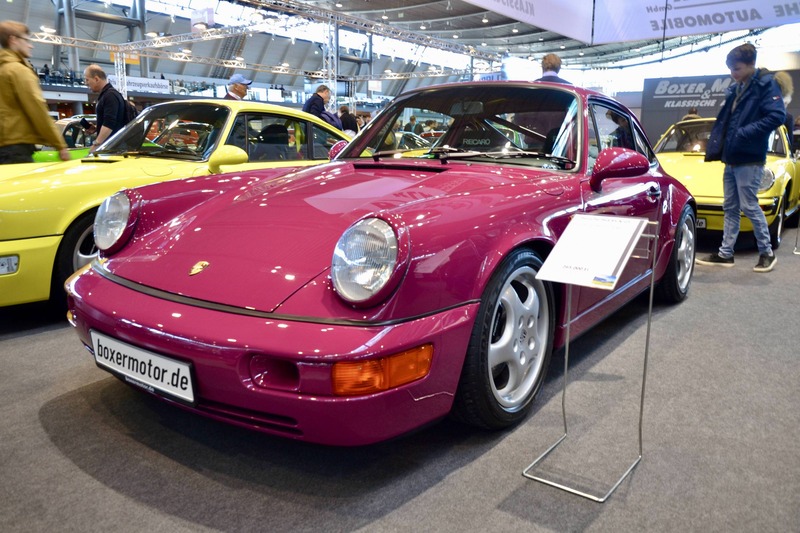 Retro Classics Stuttgart distinguishes itself from Essen firstly for the sheer volume of vehicles on display. 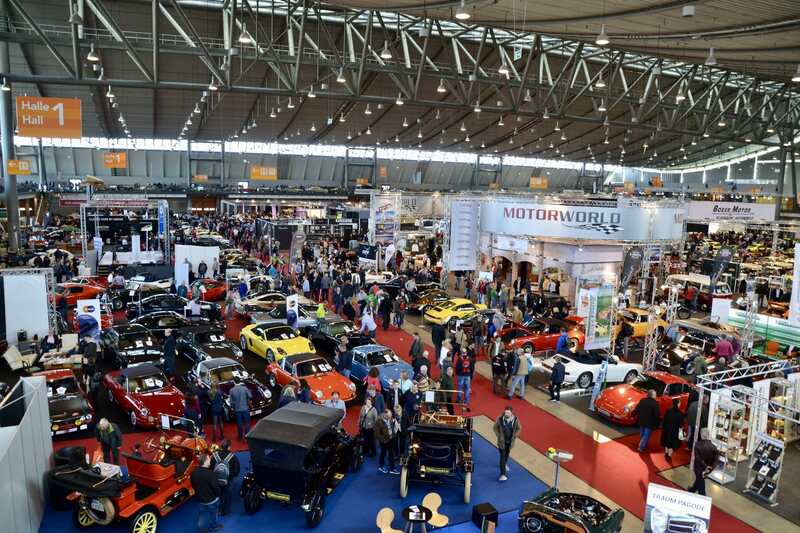 There is literally no measuring the endless number of exhibitors, cars, memorabilia and accessories being offered in those 10 gigantic halls. 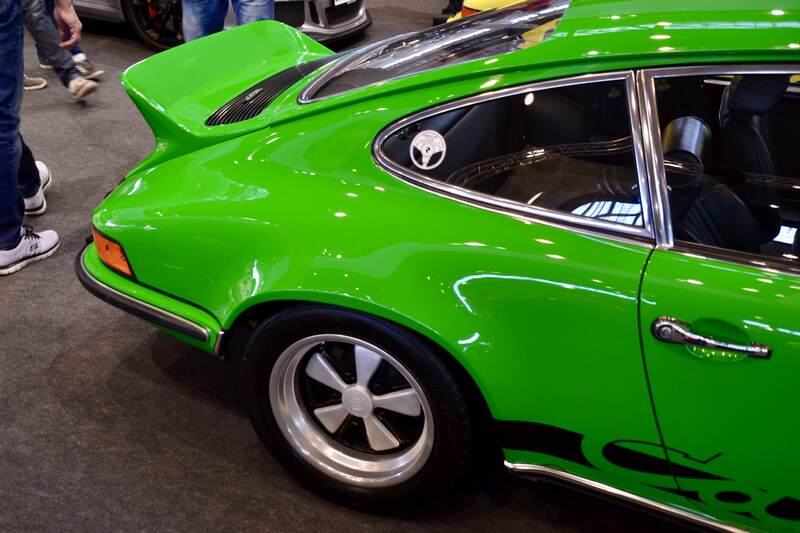 Needless to point out that among those countless cars there were plenty of Porsche 911s. 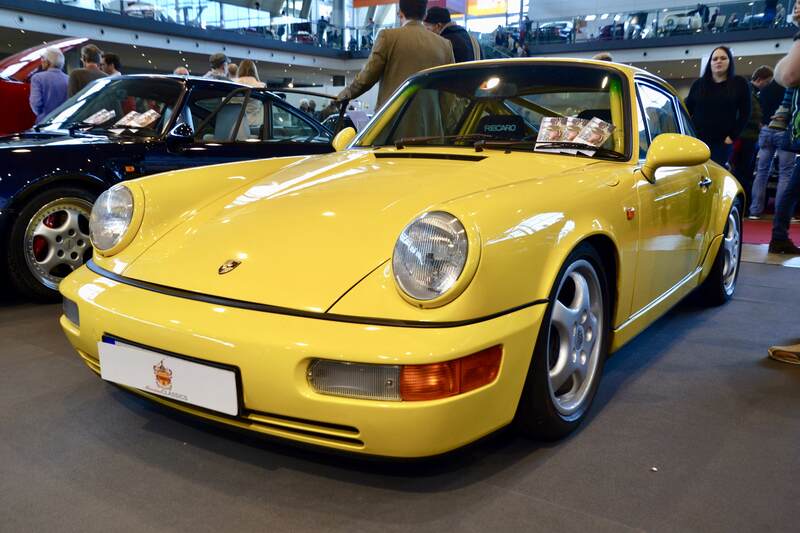 Although some are more valuable or rare than others, we selected a few that caught our eye at the event. 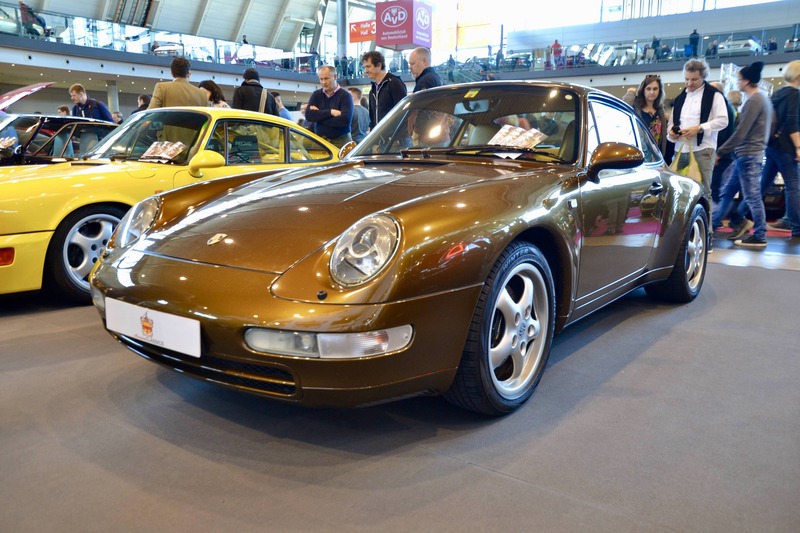 This 993 Carrera offered by Messina Classics is not your ordinary C2 as it is one of only two finished in Messing Dark Metallic (40Z). 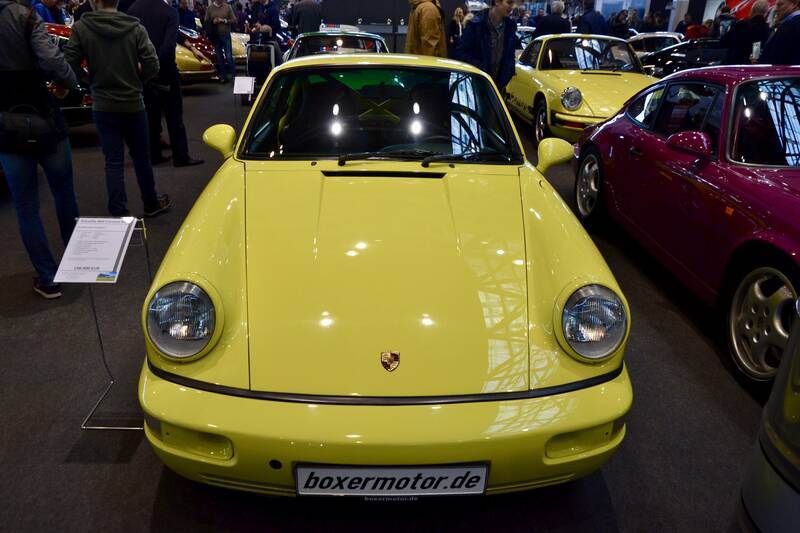 It was originally a Porsche works car delivered to a company board member in 1994. 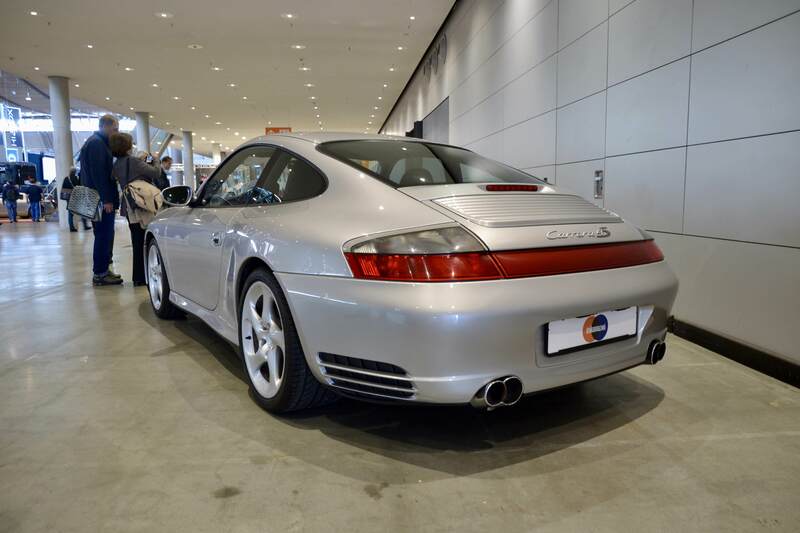 Finished with a classic beige interior and with the desirable manual gearbox this 993 might not be everybody’s cup of tea, but it sure provides a high level of exclusivity for a Carrera car. 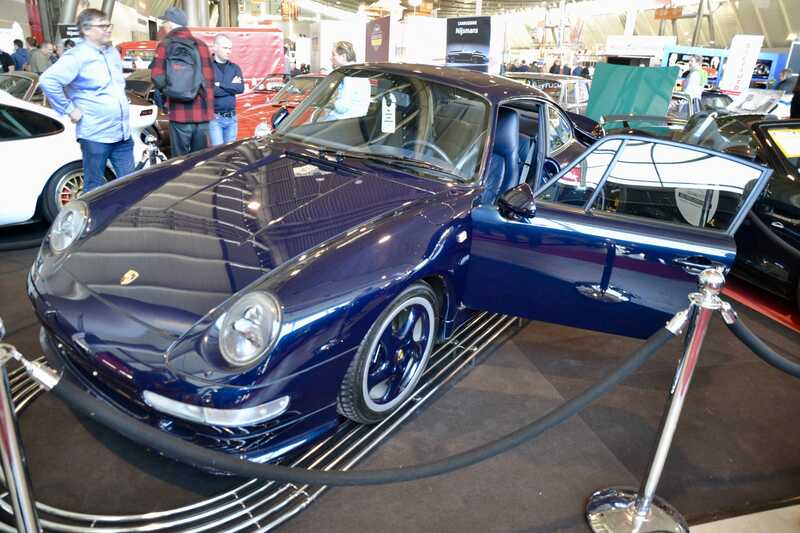 Always great to meet friends at an international car show, such as Nijsmans Classics that this year also brought their 993 Turbo "Last Waltz"; the unique and last air-cooled 911 to leave Zuffenhausen. 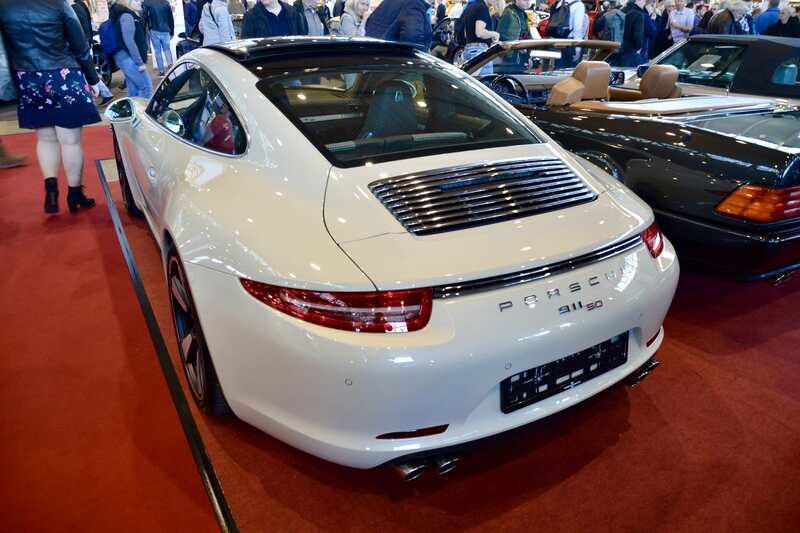 We return to the Porsche factory car theme for our second pick of the show, which is this very special 991 Targa 4S. 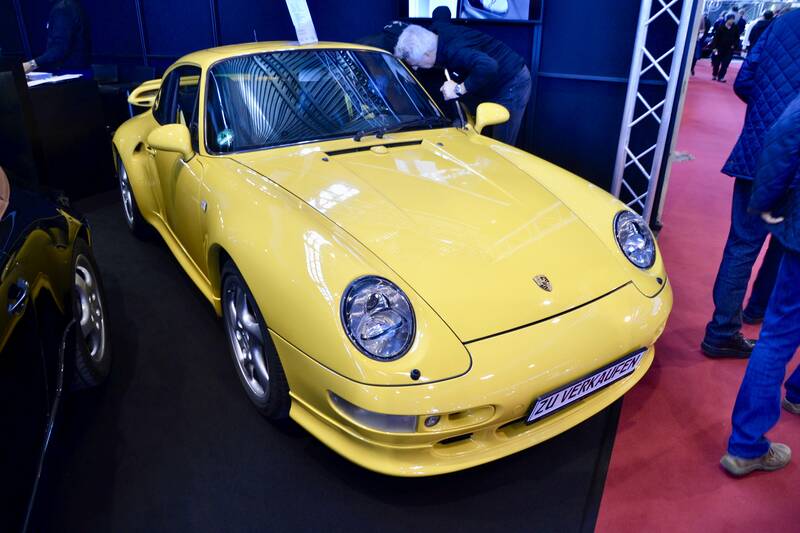 Just like the previously highlighted 993, this car originally remained under Porsche ownership as a prototype car. 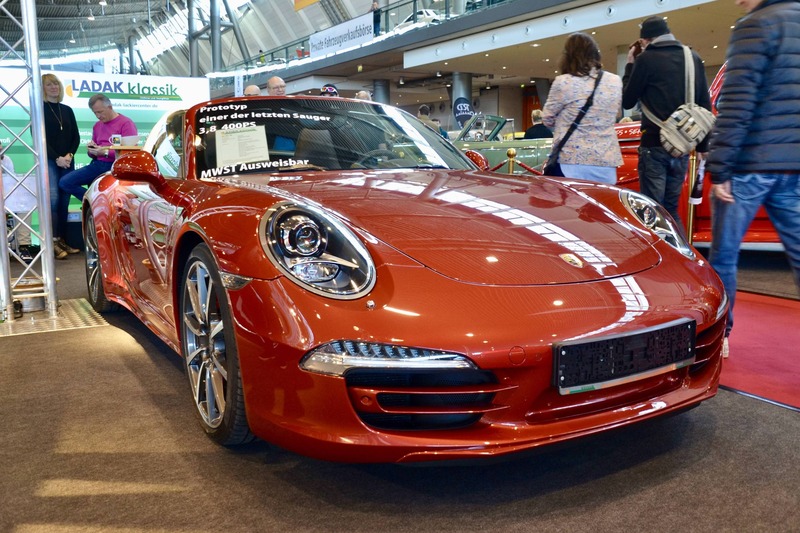 It is equally finished in a paint-to-sample color called Amaranth Red Metallic. 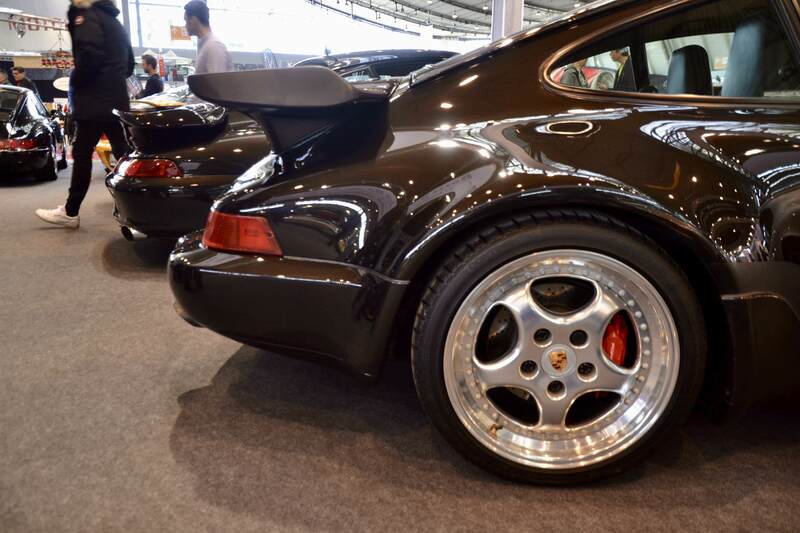 The red finish holds a dark-ended metallic hue, somewhat contrasting to brown depending on the lighting and much darker than the Guards Red 993 that stood in front of it. 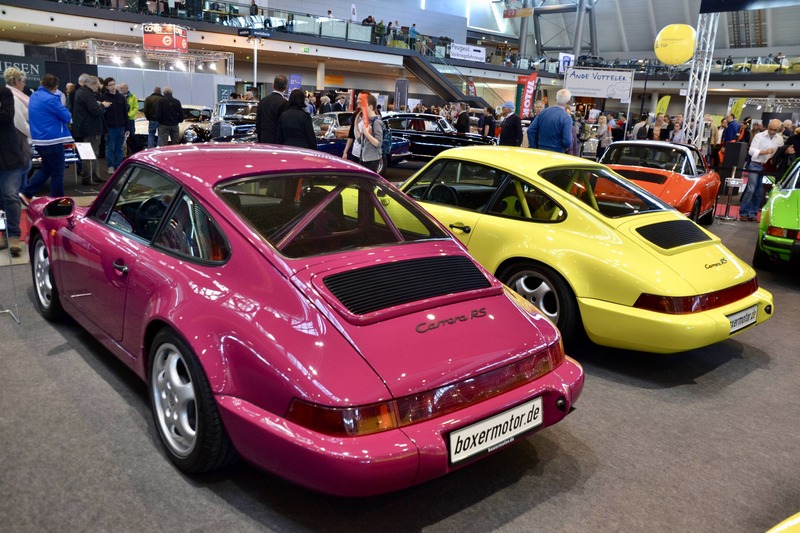 This wonderful pair of Carrera RSes were the definitive showstoppers in Stuttgart. 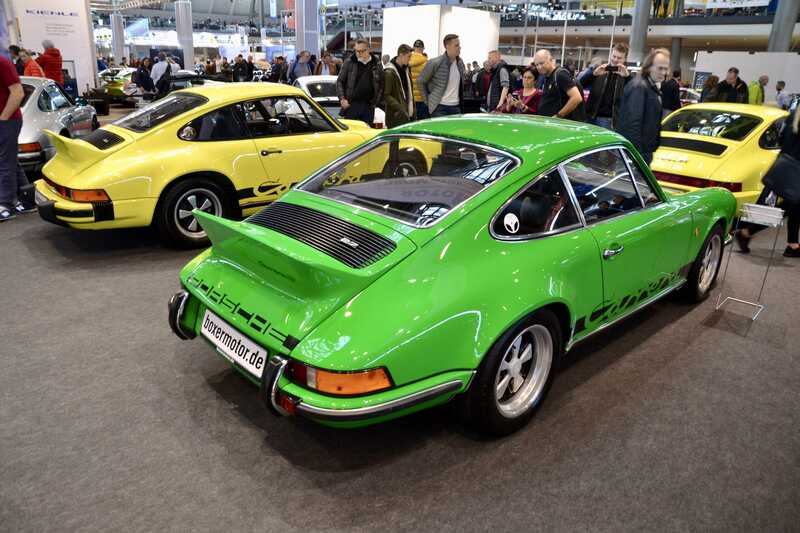 Perfectly matching in contemporary colours and in character, both cars are two of just 290 NGT versions of the Carrera RS. 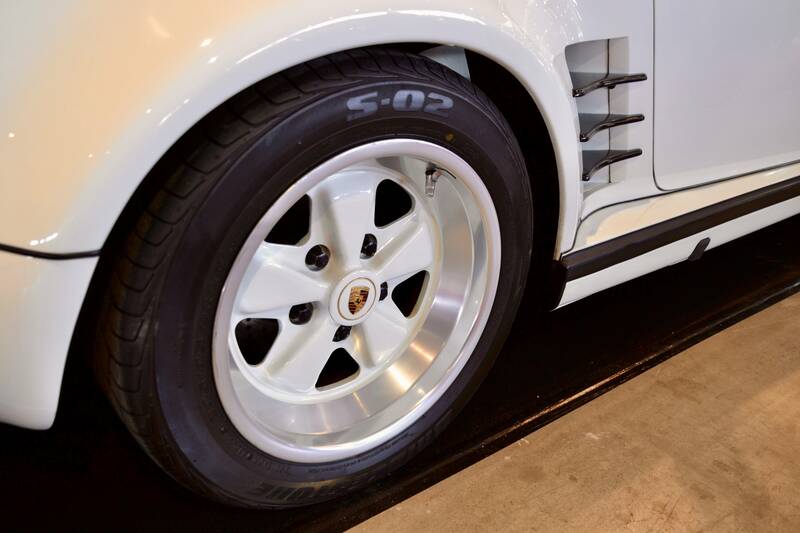 With a standard Carrera RS already shaving off around 150kgs versus a standard Carrera, the NGT package went even further in weight reduction measures by deleting extra isolation materials and carpets, and by adding Recaro bucket seats. 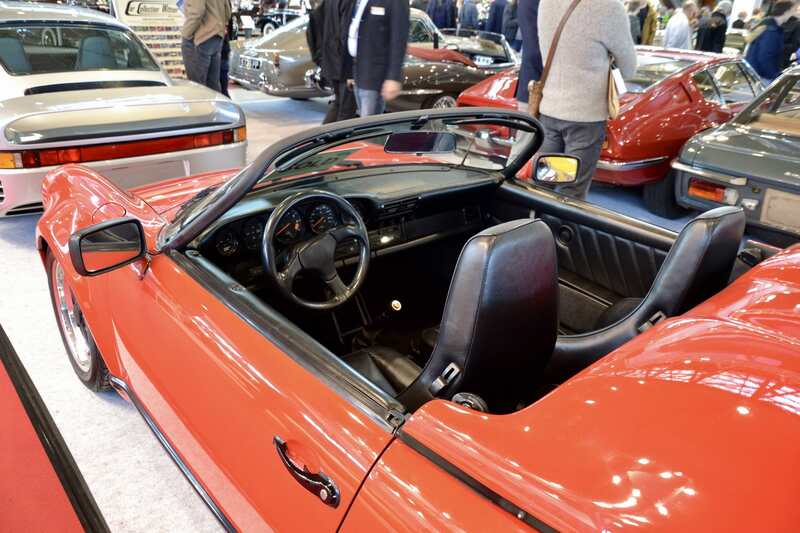 A painted roll bar was also included. 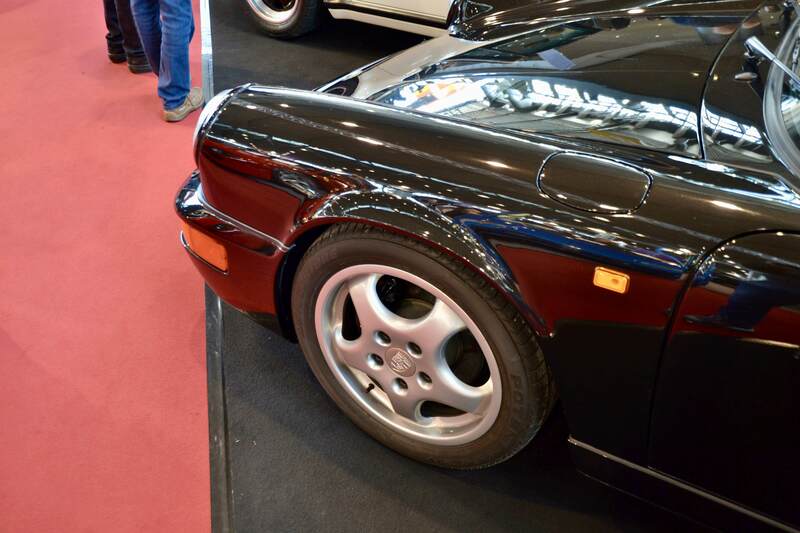 Expect pricing around or above 250,000EUR for these very rare, ultra-focused 964s. 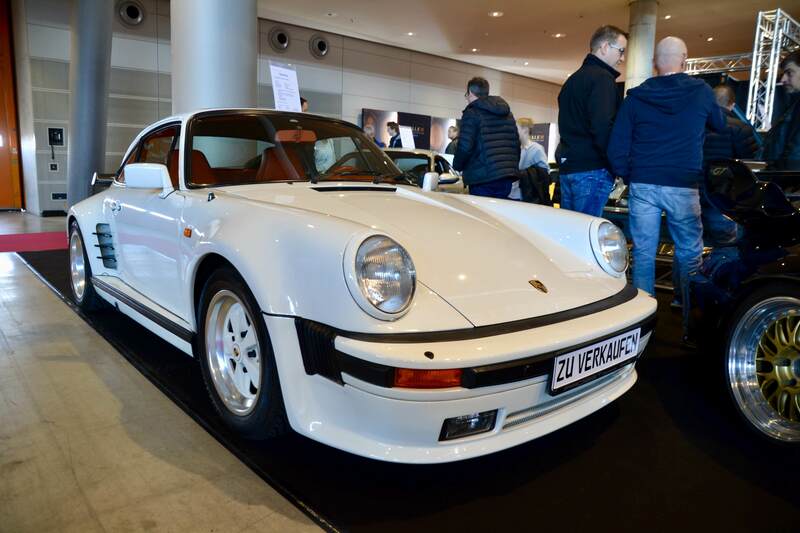 Porsche Club Germany had gathered up a fantastic number of cars to delight the crowd, among which a pristine 911 Carrera RS 2.7L and an ultra-rare 928 CS. At the back-end of the line-up was a G series, donned with Rothmans livery, overlooking the scene. 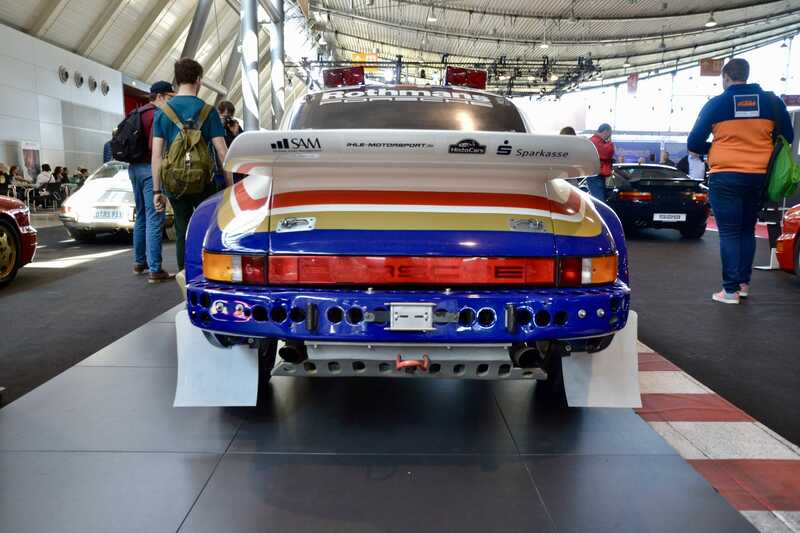 This was none other than the legendary Porsche 953 rally car; a heavily modified variant of the 911 SC designed specifically to compete in the 1984 Paris-Dakar rally. 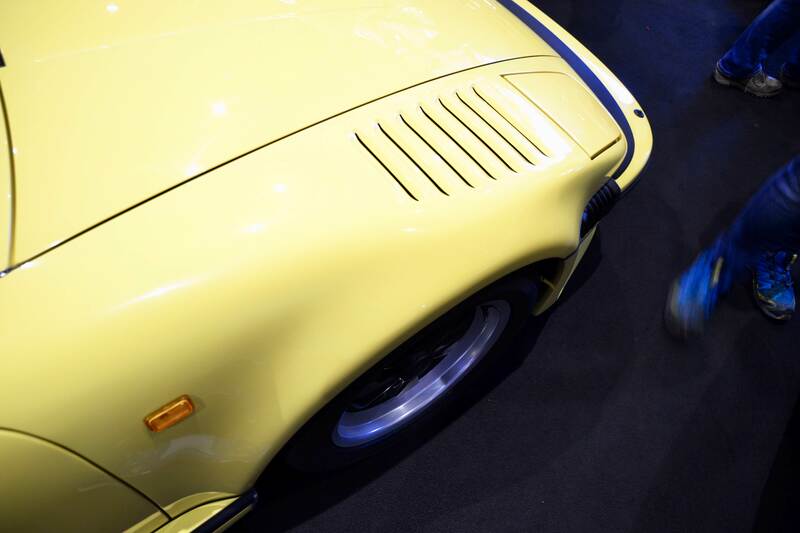 The car used a developmental, manually controlled four-wheel drive system that was later used on the 959. Its flat-six delivered 300bhp weighing in at only 1,247kgs. Three 953s were entered into the 6th edition of Paris-Dakar in 1984, with one taking the number one spot. 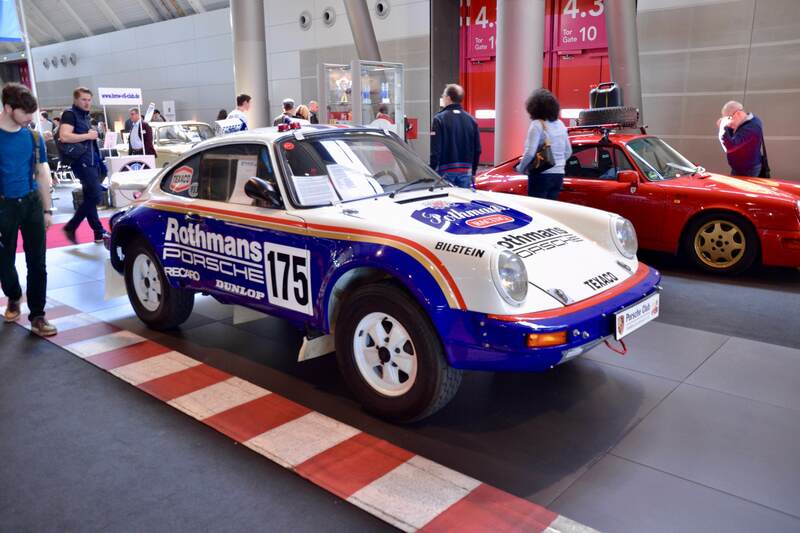 The one presented in Stuttgart was the 953 piloted by Belgian motoring legend Jacky Ickx. 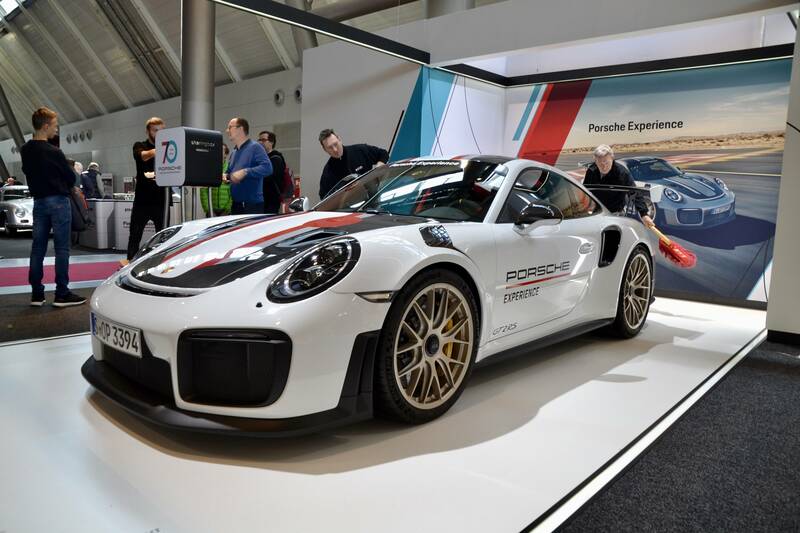 For our final pick we find ourselves at the Porsche stand in Stuttgart where the brand-new 991 GT2 RS was on display. 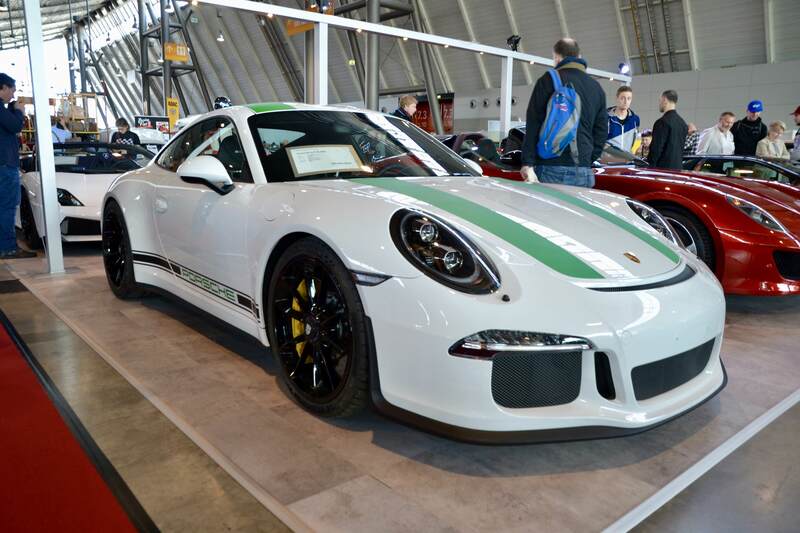 Finished in a rather refreshing white-over-gold spec, this GT2 RS was one of the latest additions in the fleet of the Porsche Experience team in Zuffenhausen. 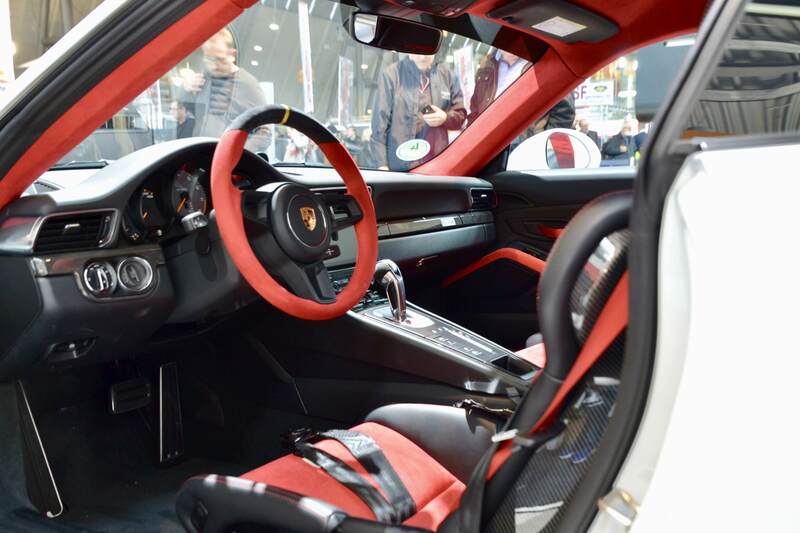 The red-black livery complemented nicely with the interior, although we are still not fully convinced of the interior color scheme. 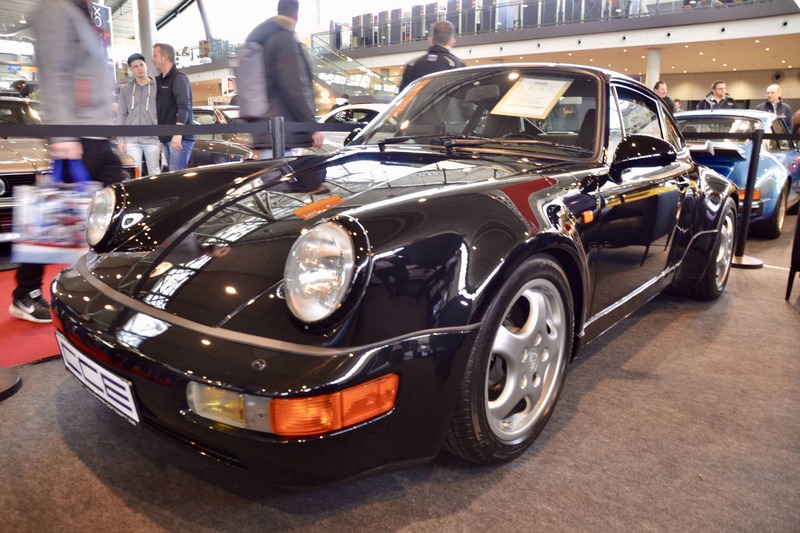 The Turbo everybody wants: the 964 Turbo 3.6L Potentially the greatest Turbo of all time.